It appears that Dan and Robert from Burger Theory, Aurelie from La Waffle and the crazy kids from your favourite Burger Theory van have found an HQ from which to plan their daily Burger Van and Waffle runs and thankfully for diners, this means another opportunity to sample some of, to borrow a term from Billy Law, Adelaide’s favourite ‘Dude’ and ‘Dudette’ food. 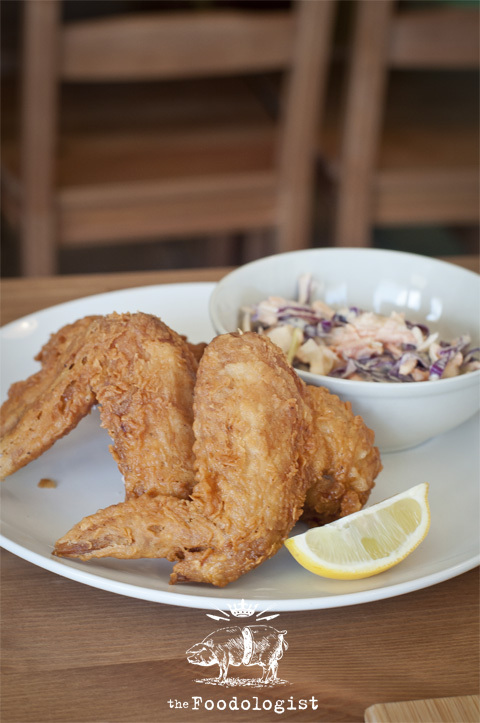 Pearl’s diner is located on a suburban street in Felixstow, in a revamped chicken shop and might not typically be the sort of place one would expect to find this gang serving their foodie delights to Adelaide’s ‘cool crowd’. It’s opening however gives the opportunity for Dan Mendelson to stretch his culinary wings a little and offer a greater aspect of his culinary vision and the only thing I can say is, ‘Amen to that!’. 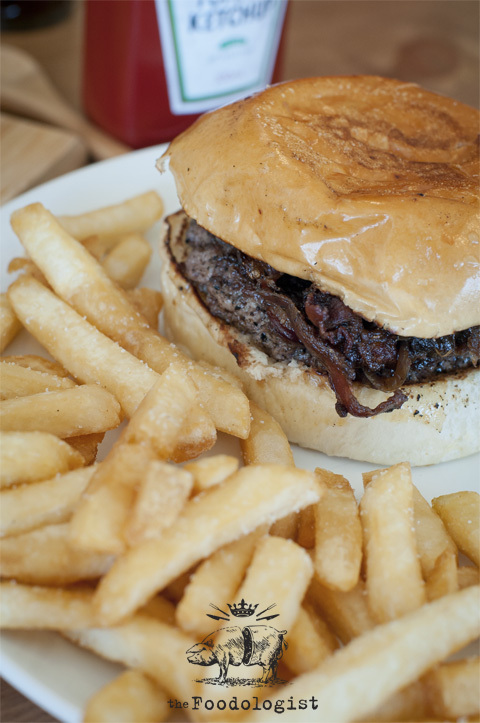 Pearl’s Diner offers American style Diner food of the high quality you have learnt to love from the Burger Theory Truck. Throw that in with the sweet dining experience from the lovely Aurelie from La Waffle and you have a total dining experience that is sure to tempt anyones taste buds. The decor and fit out is simple and cheerful and once you find a table, you order from the counter and wait for the party to start. We pretty much tried the whole menu on this occasion so what follows is a pretty full (and I mean that I was bursting at the seams by the time I left!) account of what is on offer. These are a must try item, an order winner and make your trip to Pearl’s worth it, not matter how far you have travelled. Pork Buns appear to be the ‘new Macaron’ or is it the other way around? Anyway, most Pork Buns out there these days seem to be influenced by the ‘David Chang-Momofuku’ thing which, lets face it, is not to be scoffed at. These babies however are classic American BBQ which is something we don’t see a lot of here. I am a fan, lets rephrase that, I am a BIG fan of American BBQ which unlike typical Australian BBQ which basically consists of grilling, American BBQ is typically where cheaper, tougher cuts of meat are slowly smoked for periods up to 14 hours or longer for big cuts. The result is a piece of meat that is so soft, you can cut it with a spoon and complex smoky flavours that are often combined with spice rubs which include salt, pepper, paprika, brown sugar and any number of other ingredients. 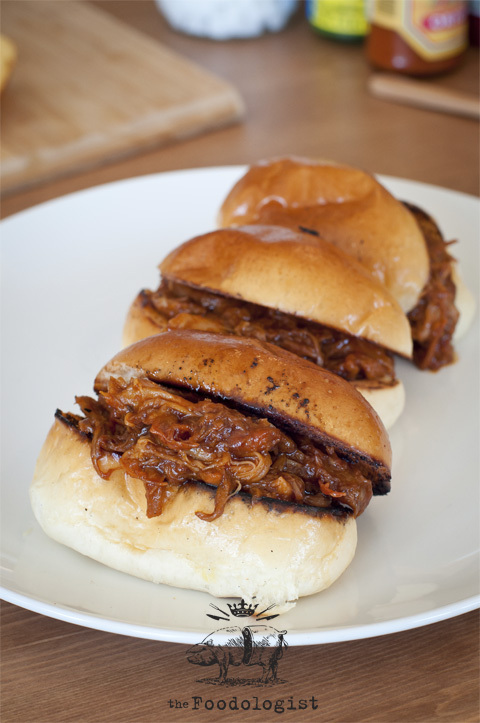 In this case, we have what is pretty much a pulled pork bun, where the pork is pulled apart into shreds after smoking and mixed with a BBQ sauce and then put into those lovely soft sweet buns that Burger Theory have become known for. These are a must try item, an order winner and make your trip to Pearl’s worth it, not matter how far you have travelled. The Chili is something of a departure from your ‘average’ Chili which usually consists of what always ends up being Bolognaise sauce with added kidney beans and a bit of added chilli powder. This is authentic Texas Chili which is distinguished from your average chili by the lack of kidney beans and the use of diced beef rather than mince. It makes for more of a Texas style beef stew. 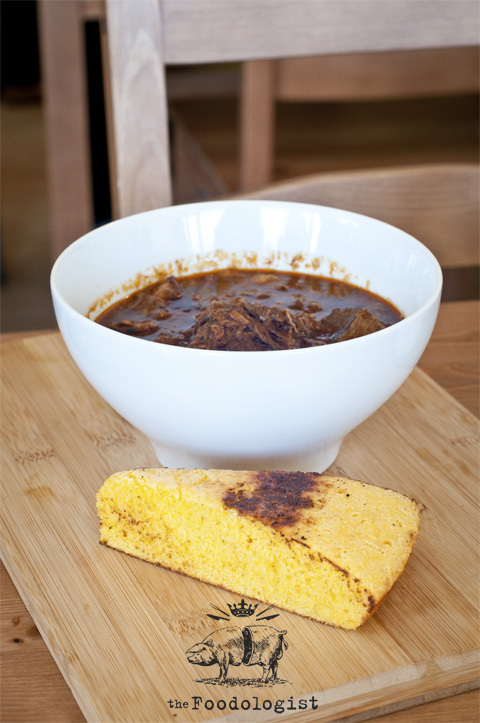 The cornbread is served warm and is characterised by the graininess evident in the mouthfeel as well as the flavour evident from the cornmeal. It complements the dish well and would do well for anyone seeking a warm winter comfort dish. All that really needed to accompany this is cold bottle of beer. This was interesting and demonstrates what a chicken wing can be if done properly. These wings were big and four of them was more than adequate as a main course. Using Buttermilk as a batter and presumably a flour and possible spice mix gave the wings a crunchy coating which was crisp all over and showed good adherence (this is important as I my company literally tonnes of schnitzels per week for my day job!). Accompanied with the coleslaw in which the dressing was flavourful and the vegetables fresh and crisp, this is a great dish if you don’t want a burger. 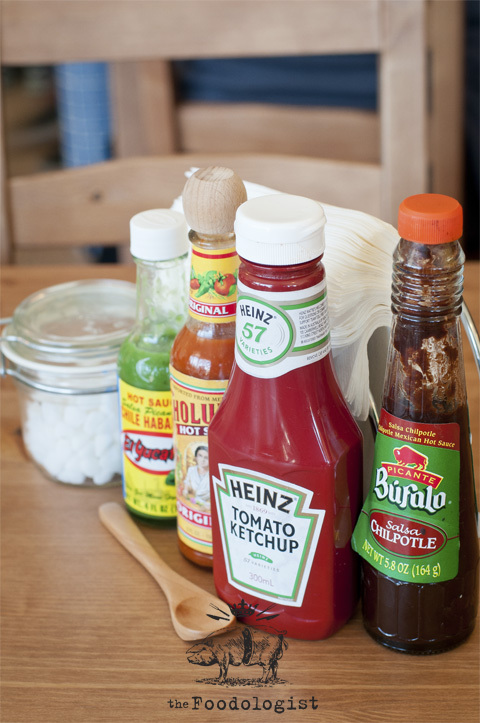 Drizzle it in some of the hot sauces available on your table and you are sure not to be disappointed. This is the item on the menu to which you can compare to all other burgers. The benchmark if you will. Whilst it is simple in its construction, the flavour and quality is nothing of the sort. As a result, this burger really is ‘THE benchmark’ when it comes to burgers. Soft and slightly sweet bun, a decent size, medium rare Coorong Angus Beef patty, american cheese and truck sauce with iceberg lettuce. When I described this on my review of Burger Theory I pretty much said that their product is distinct because the end result is greater than the sum of its parts. 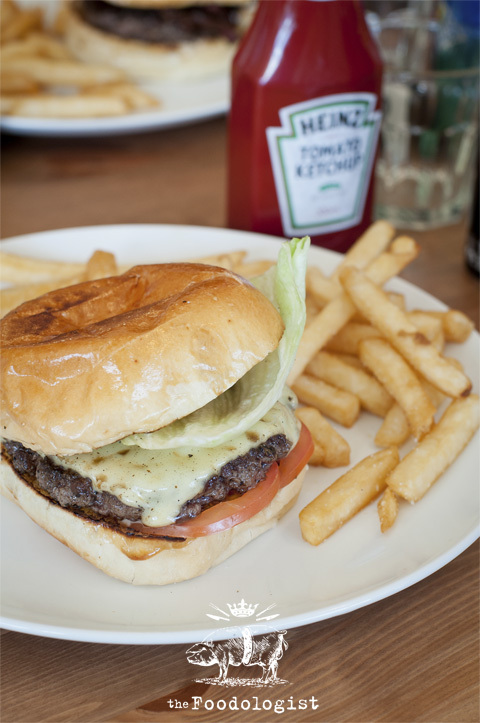 This burger is evidence of this theory – ‘A burger theory’!! This is the ‘haute cuisine’ burger on offer at Pearl’s. The combination of creamy Blue Cheese sauce, the salty crispness of the Pancetta and the sweet onion confit in addition to the Angus beef patty (cooked medium rare) and the soft bun is a winning combination. This burger was not invented, it was crafted…engineered to be balanced in such a way as to cause those trying it to gasp in awe of its wonder. Accompanied by the chips which were well cooked and by that I mean crispy on the outside and fluffy on the inside without being too dry makes this the pick of the menu for me. 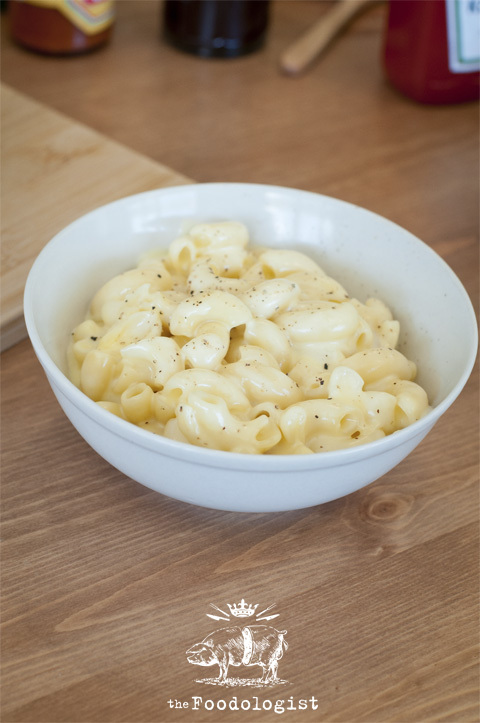 Creamy Mac-’n-Cheese. Another great side dish by the team. Cheesy, creamy unctuous and utterly delicious. There’s nothing else to say on this…just try it! We were feeling pretty full by this stage but we just had to try the waffles and they did not disappoint. Cooked to order at the Pearl’s Diner waffle station, they are lovely, in this case served with the classic combination of Maple Syrup and Vanilla Icecream, a perfect Belgo-Canadian fusion food. 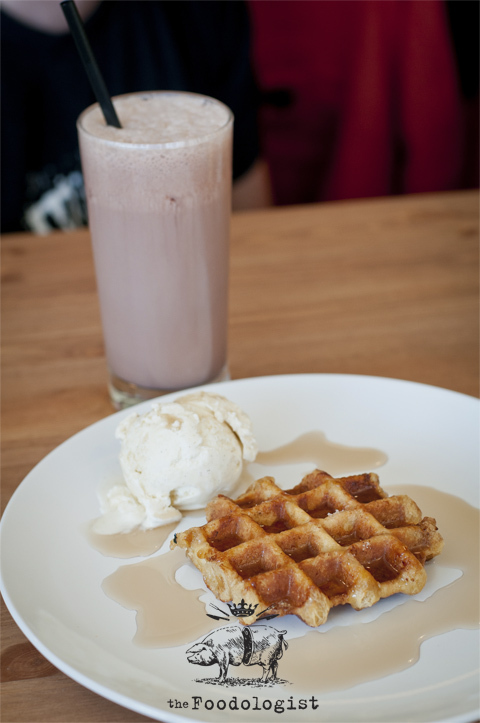 The Milkshakes are also nice and the flavours evident demonstrate the focus on quality ingredients. This isn’t your average glass of milk mixed with chocolate topping! PS EDIT: Sorry but had to add in that they also do a mighty looking omelette which is sure to please those who are after brunch rather than lunch. I haven’t tried them yet but I’m sure that if they are in the same league as everything else on the menu they will make a happy addition to anyone’s dining experience! I recommend you get there early as it fill up quick however, I recommend you get there! 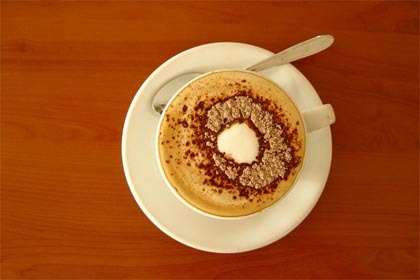 Check for opening hours on their Facebook page first!!! I love love love Pearls Diner. I adore the fact that they are open nights, that I don’t need to go hunt down the van, and that I have a table to eat with. But more than anything else, I love the fact that I can eat amazing burgers over and over again without ever getting sick of it. I want to eat this exact same meal right now, George. Yum!!! if, if, if only I lived closer. When I get my wheels back I’m definitely travelling up that way. Pork floss is like the savoury equivalent of macarons! The food looks really good. I recently came across Burger Theory as I have been doing research on food trucks in Australia because at the moment Perth is trying to set up a food truck scene and I’m on the committee. Great to see that Burger Theory have been able to expand and have physical premises too. Haha..I think you are right about Pork Floss!